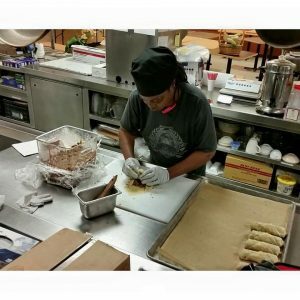 The Culinary Cornerstones EXPLORER Program is a 6-week intensive, entry-level program that provides job training, support services and hands-on, paid employment in the food service industry to individuals who are chronically unemployed or underemployed. NourishKC has partnered with the U.S. Department of Labor to create our new Culinary Cornerstones APPRENTICESHIP Program. This advanced training program is offered to more experienced applicants and/or graduates of our Explorer Program who are interested in (and qualified for) a career in the food service industry. 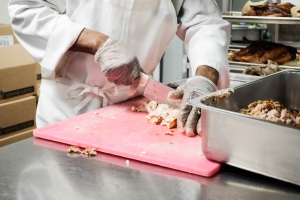 The Apprenticeship Program consists of six months of classroom training concurrent with a 3,000-hour (approximately 1 ½ years) paid culinary apprenticeship at an approved local food service establishment.